They say a book is a dream you hold in your hand. 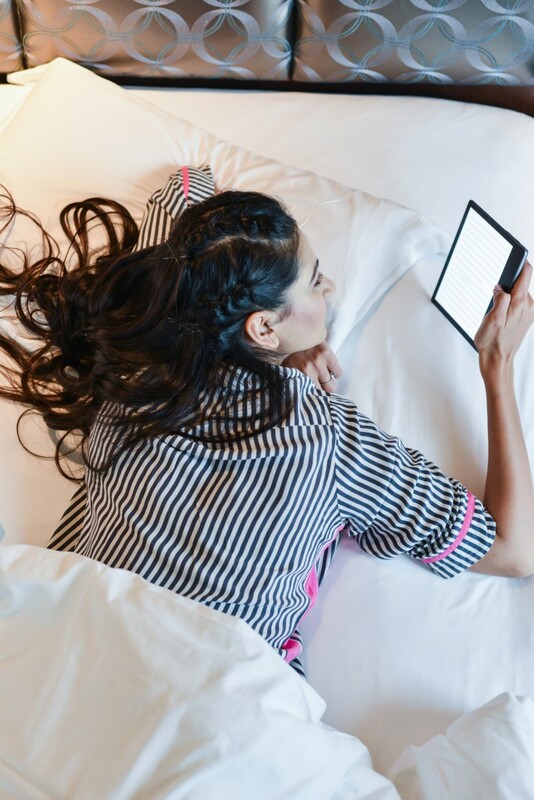 Well your dream is going to get bigger and better because Amazon just launched the all new Kindle Oasis. 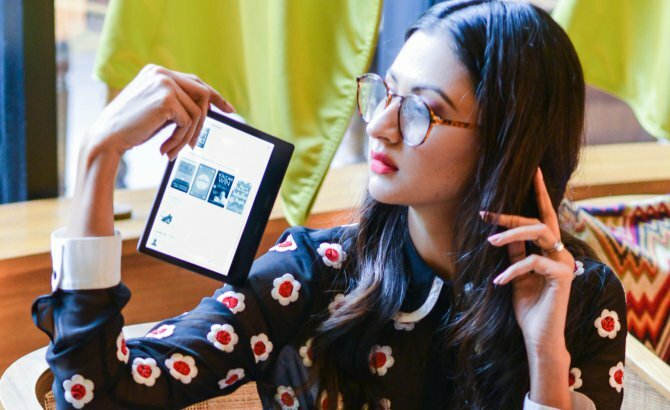 After its two predecessors, Kindle Paperwhite & Kindle Voyage, Kindle Oasis is giving us 13 Reasons why we need it in our life. 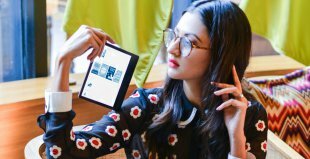 #1 Designed to feel as light as paper, Kindle Oasis is over 20% lighter and 30% thinner on average than any other Kindle. The handgrip tapers to an ultrathin 0.13” display so you can read comfortably for hours. #2 A tapered ergonomic handgrip shifts the center of gravity to your palm, to rest in your hand like the spine of a book. Perfectly balanced for one-handed reading, Kindle Oasis enables you to get lost in your story. 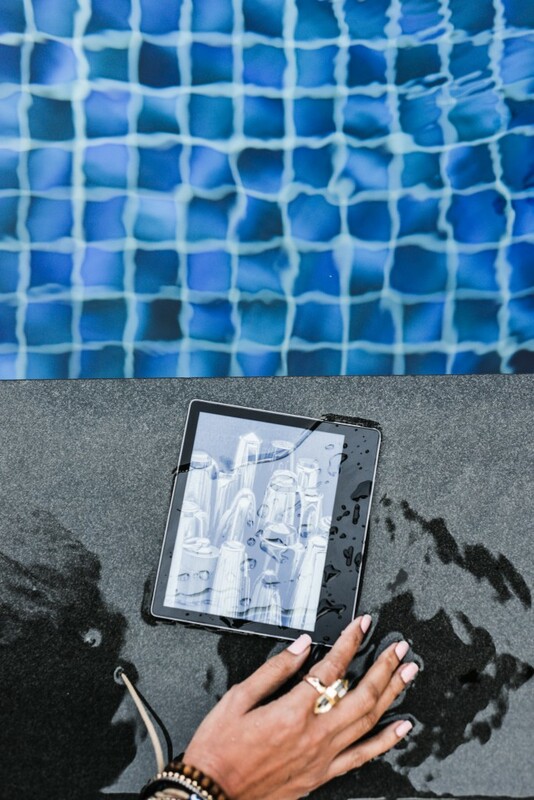 #3 The only Kindle that can handle a dunk in the tub or swimming pool. Its waterproof! It can be under2 meters of fresh water for 60mins. #4 The Kindle Oasis offers physical page turn buttons on the right-hand side where you hold the device, as well as the option to use the touchscreen. This makes things simple as you can turn pages without having to move your hand if you don’t want to. There is also a built-in accelerometer so the Oasis can detect which hand you are reading with and automatically rotate the page and page turn buttons accordingly. 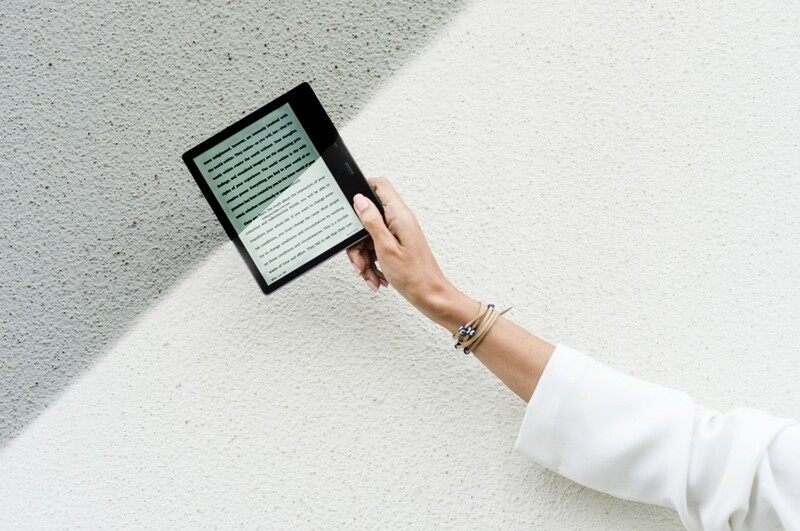 #6 The adaptive front light will dim and brighten depending on where you are, which makes going inside or outside effortless as the Kindle adapts brightness to make reading as easy as possible. #7 The Amazon Kindle Oasis offers 6-weeks on a single charge according to Amazon. You can read approximately 2 complete books. #8 It also features fast charging so it will be fully powered up in 2 hours. #9 A new hibernation mode minimises power consumption when your Kindle is inactive, extending battery life to its fullest capacity. #10 Oasis also supports Audible. You’ll be able to switch seamlessly between listening and reading with a quick tap if the book you are reading has an audible version. #11 Oasis is the only one available in two storage options, with 8GB and 32GB devices available. Its compact size makes it very easy to travel with. #12 Amazon Prime members can read thousands of free books! #13 They say books make you part of the store and here is a perfect companion that you can make part of your life and enjoy a fabulous reading experience. 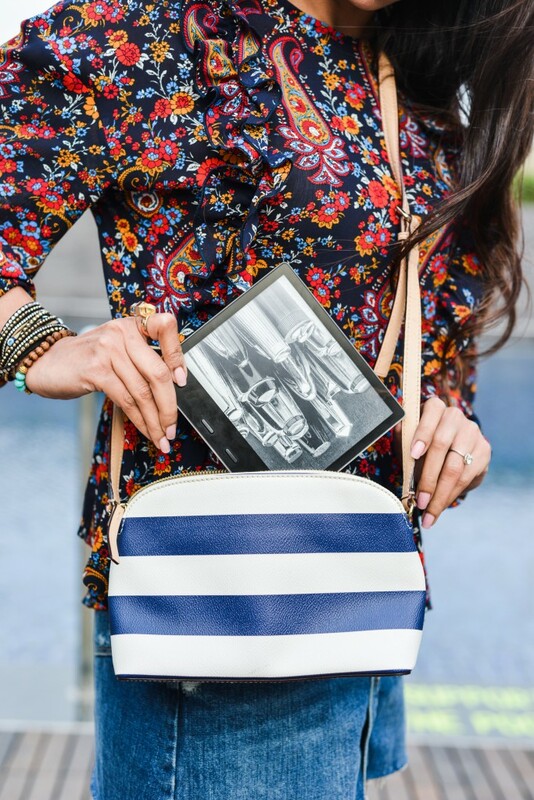 Shop the all new Kindle Oasis Here.